The bones of the home were fabulous, but the functionality and style were obsolete. 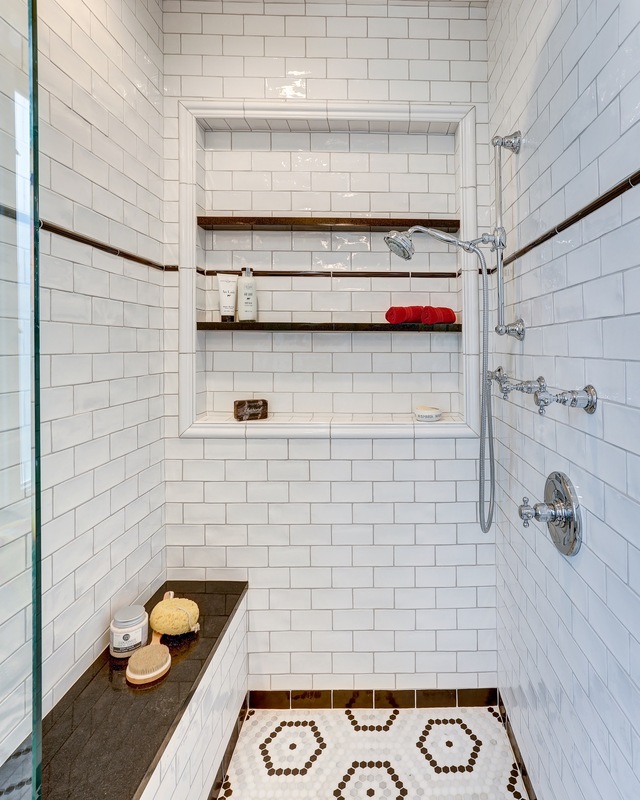 Along with Konrady & Son Construction, we transformed the master suite, eliminating the soaking tub and replacing it with a fully custom walk-in shower complete with a Rohl rainfall showerhead and frameless glass door. With functionality resolved, we needed a style direction and for the art-loving clients with bold taste, a classic, French-inspired scheme was an obvious choice. The vanity (not pictured) was designed around the client’s vintage chair and art deco pendant hanging above. 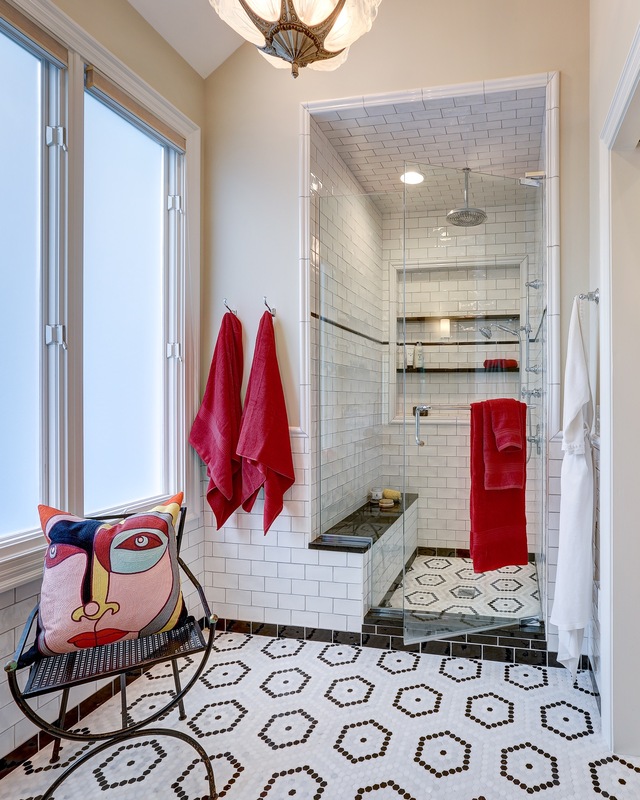 The patterned floor tile adds visual interest and draws on the 1920s French design concept. 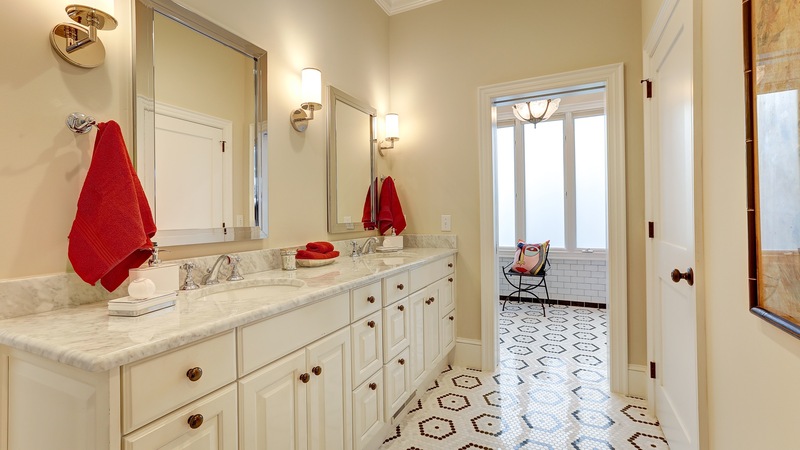 The black and white floor tile in the master suite is made of marble and granite and set in a hexagon pattern. The framed artwork in the master suite also alludes to the vintage French theme; the pieces from the client’s art collection were collected from a 1980s Zandra Rhodes fashion show. We wanted the artistic, vintage theme to carry into the powder room as well. 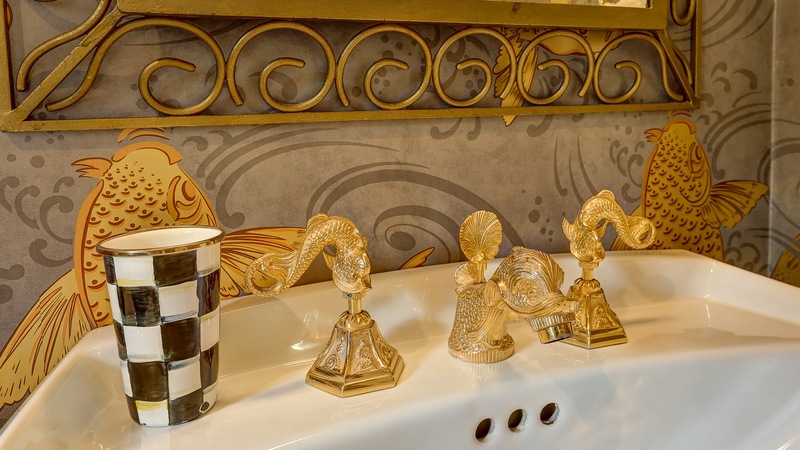 The clear starting point was the existing antiqued gold koi faucet. 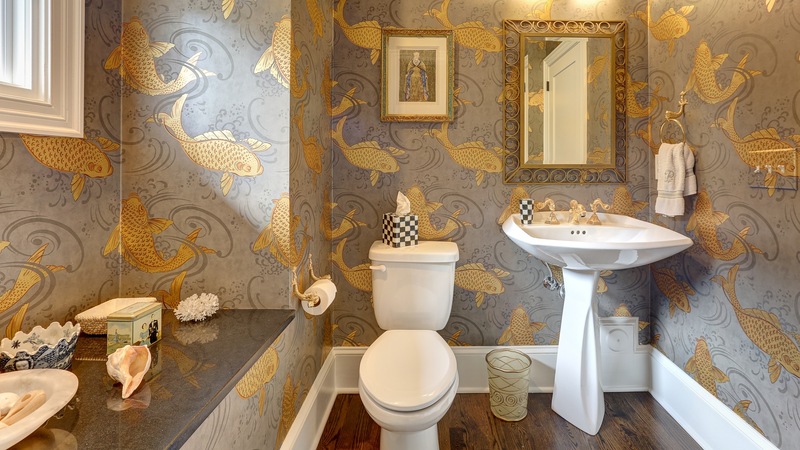 We played up the whimsical feature, pairing it with a koi wallpaper and gold accents. 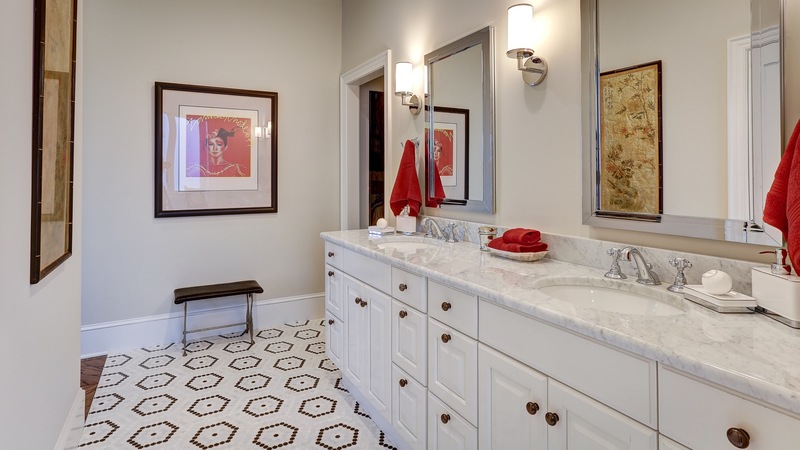 The patterned floor tile adds visual interest and draws on the 1920s French design concept.